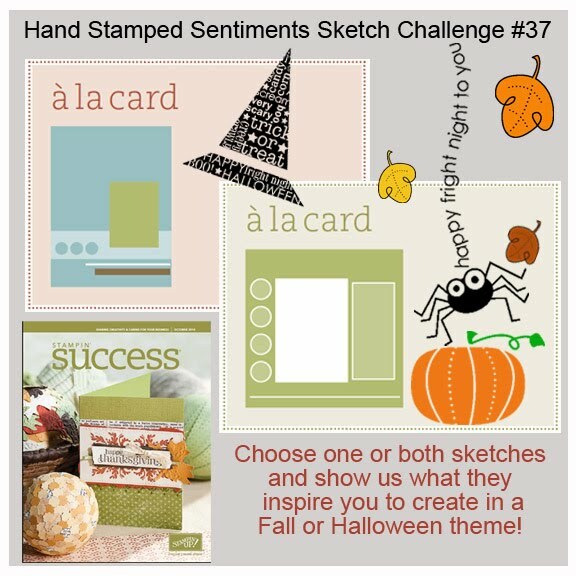 This week at Hand Stamped Sentiments we have sketch challenge to create either a fall or Halloween project. 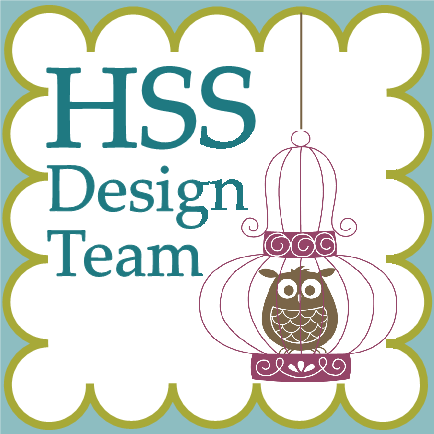 The sketches are from the October SUCCESS magazine for Stampin’ Up! demonstrators. I’ve been wanting to use the leaf image from the Lovely as a Tree stamp set. 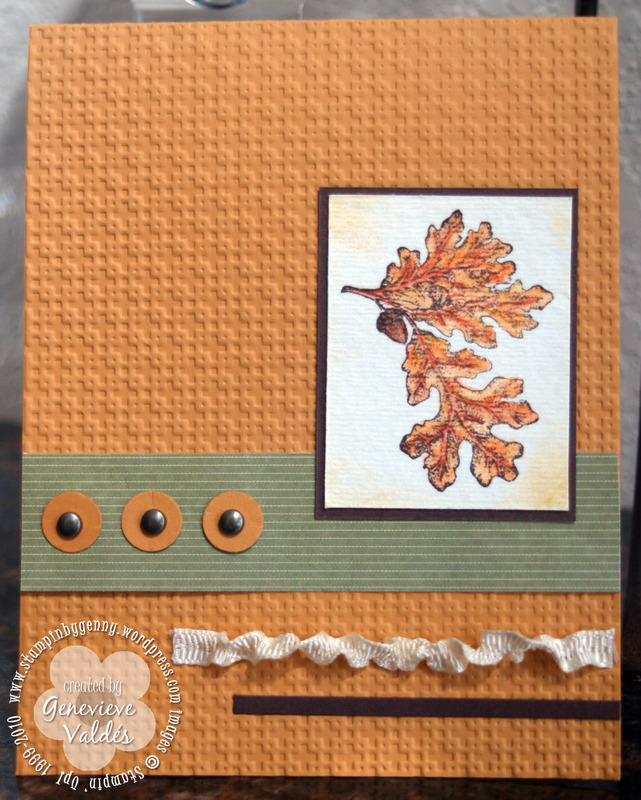 It’s perfect for a fall card and using the Stampin’ Up! water color pencils with the Aqua Painter blends the colors so easily. I would love to see your creation so hop on over to HHS and post your creation. I used More Mustard card stock as my card base and used my Big Shot to texture it with the Square Lattice embossing folder. I stamped the leaf image on water color paper, used water color pencils to color the image. I sponged the edges with More Mustard classic ink then adhered to a Chocolate Chip layer. The Old Olive DSP is from the Welcome Neighbor DSP pad from Sale-a-bration. The circles were punched with Two-step owl punch and I used antique brass brads in the centers. The ribbon was fluted by pulling on one of the fibers then adhered with mini dots. The smallest layer is Chocolate Chip CS.